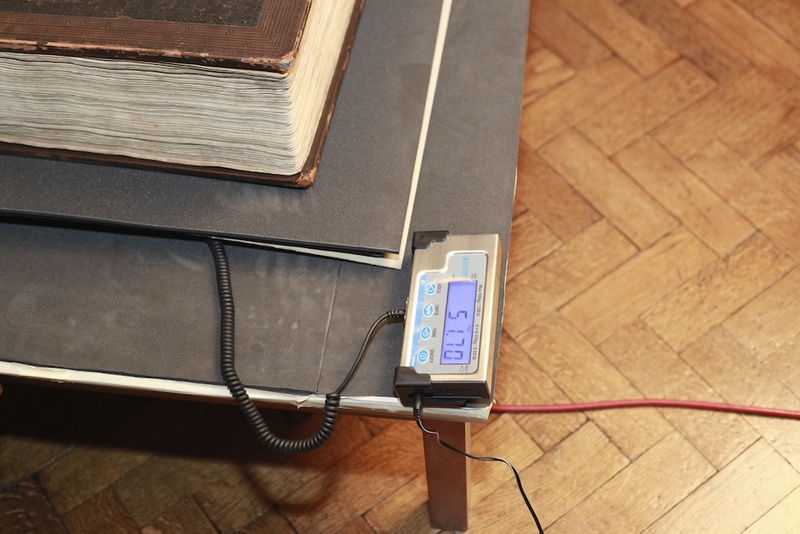 Using a special set of digital scales, where a pad was placed under the manuscript which is connected to a read out, we have finally been able to weigh the Koran. It came in at almost 52kg, or 8st 2lbs. The scales only weigh up to 60kg, so it was almost topping the maximum. تم اخيرًا التمكن من وزن القراَن باستخدام ميزان خاص حيث تبين ان وزن القراَن يبلغ 52 كغم.